So the thing is, ive recentely installed ff7 and some mods (_YAMP_-_Yet_Another_Multi-Patcher; _Higher_quality_Cloud_mod_; _NPC_Reconstruction_Project_for_FF7PC_0.6_mod_; _Advent_Avatars_mod_; ._New_Spell_Patch_; and programs like SceneReduxV1_2; TrueMotion_codec) and did that while folloving the miracle.flames step by step instructions.So i loaded disc 2, pressed new game, watched the cutscene, and then, upon entering the first battle, it just froze. (i can still hear the music though which sometimes crashes for a short period of time) After a few sec i got a message, saying that ff7.exe is not responding, and,unfortunately, the only way i could shut it down was by turning off/restaring the pc. i dont know, try reinstalling the game without all those outdated mods and then add things one by one testing if they work before moving on to the next mod. try reinstalling the game without all those outdated mods and then add things one by one testing if they work before moving on to the next mod. and use aalis driver from the start as that is mandatory. generally means your graphic drivers are not installed or properly installed. so how could i re-install it or install in properly? Google your graphic card and place "drivers" next to it. Or look at the nvidia site and download the drivers. Ok so ive installed the latest driver, re-installed ff7, used 1.02 patch and alli's latest driver, changed window size y to 1024 and windows size x to 768 (in ff7_opengl) set to custom driver in ff7config, and after i ran the game nothing happened.It didint even opened the game window. No one knows a solution to whis? Check app.log i n the game folder and send contents here. If you have just run the game and then it crashed or didnt open it should have some information. It is possible you have not installed aalis driver properly. Go to his thread and read it. 1. original game, NOT downloaded. 2. Install correct graphic drivers. 4. Install aalis driver properly with 1.02 patch. 5. Run game and if it doesnt work, check app log. 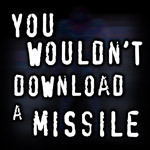 Well, since you downloaded it, we won't be helping you anymore. Read the rules. Asking where to get illegal software or cracks will not be tolerated. Asking for support for the Ultima Edition or any other pirated version of the game will not be tolerated. Any discussion regarding pirated software is an immediate warning. - You have a pirate copy and that isn't supported here. You come here, yet again, ignore all the rules and wonder why your pirate copy isn't working. There are probably tons of issues with your particular download. That's why it gets frustrating, because a pirate copy could have issues which are simply not our concern or problem. You have wasted my time as well. Something needs to be done to make this completely obvious to you people that pirate copies have problems and that we do not support it. There is a wealth of knowledge around to correct your problems, but I suggest you start by getting a proper game. If that is true, it would be a result of realising what we were doing, and not coming onto a forum to ask about problems which are probably 100% related to it being a dud copy. Erm, dude, the pirated copy, is nothing more than the SAME game, ripped from original game discs. Its not like its an ultima version, its simply digital version, so basicly, it couldnt have any new issuses which the original game does not have. (Ive downloaded it from a finalfantasy7pc.com, and for some time even thought that it belong to one of you guys, the Qhimm crew - as it had many youtube guides about alli's driver, mods and other stuff).Even tough i understand, that that is a rule(no piracy), but honestly - do you really never download music, movies antivirus softwares or any programs, which originaly werent for free? Sorry, but i simply doubt it. It's not a matter of moralizing. It's a matter of us being at legal risk if we support pirates. This is a reverse-engineering forum. We're in a precarious position as is. We've reverse-engineered several pieces of Squaresoft software and we've publicized a variety of algorithms within them. We don't need the added risk of receiving a C&D for supporting piracy. As such, I must close this thread.